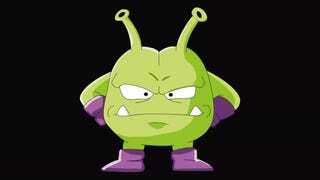 In the anime Dr. Slump, there is an alien race called Nikochan. They have butts on their heads. Not the kind of thing you want to see in real life. Here you can see their king as designed by creator Akira Toriyama. Former video game character designer Yoshinobu Saito did this realistic King Nikochan to scare—and amuse—us all. So far, his rendition has been retweeted well over six thousand times.